Tumblr, meet Writer. 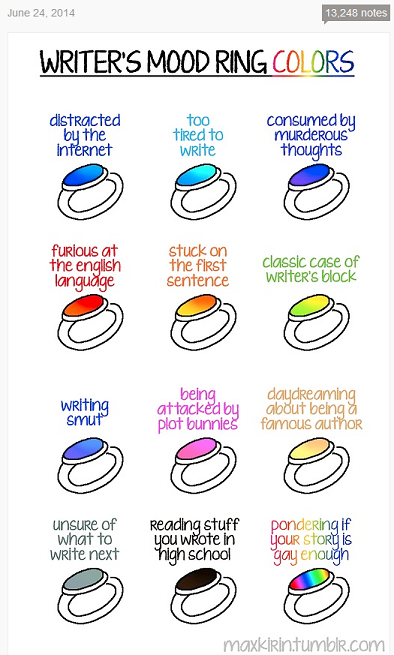 Writer, meet Tumblr. 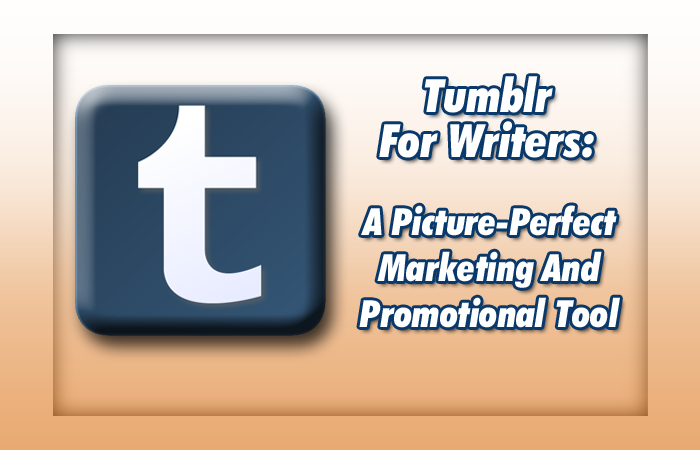 While you might think that a short-form blog like Tumblr would be counterintuitive for writers, this photo-centric platform is quickly becoming a viable marketing tool for promoting your writing. If you’re ready to shake up your social media presence by creating a Tumblr account, we have all the facts you need to know. What is Tumblr? Tumblr is a microblogging platform for posting multimedia content, and it’s rapidly growing in popularity—over 95 million posts are created on the site each day! A Tumblr account is set up similar to a traditional blog, but the posts consist mainly of images, videos, gifs, or audio files. How is Tumblr different than Pinterest? The main difference between Tumblr and Pinterest is that Tumblr encourages its users to post original content (photos users have taken, images of their latest book covers, etc. ), whereas Pinterest promotes sharing content already found on the Web (home décor ideas, recipes, etc.). Also, Pinterest is not organized in a traditional blog format like Tumblr; rather, it is a collection of images and videos (called pins) that users share on a board-like interface. How can Tumblr benefit writers? Similar to Twitter’s retweets and Facebook’s Likes, Tumblr connects users by allowing them to like any posts they enjoy. If someone likes one of your Tumblr posts by giving it a heart icon, your post will then appear on his or her Tumblr Like Page. Or, if someone reblogs one of your Tumblr posts, it can be seen by all of his or her followers. 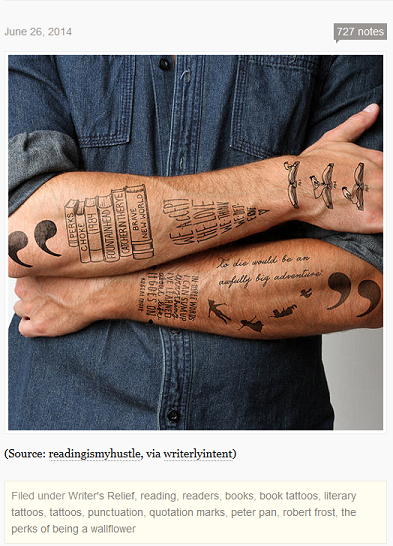 While Tumblr isn’t intended for the long posts typically found on a traditional blog, it’s perfect for combining snippets of text (perhaps quotes from your latest novel, a short dialogue between characters, or quotes from a famous author) with images, gifs, video, or audio—making it incredibly easy for your content to go viral. 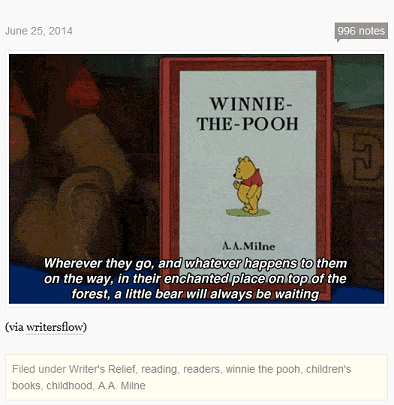 Another great benefit of Tumblr for writers: it’s an excellent platform for finding inspiration. A picture’s worth a thousand words? This is definitely true on Tumblr. What are the drawbacks? Because Tumblr is heavy on visuals and light on words, you’re limited in how much you can say without losing the reader’s attention. So while Tumblr is a great resource for networking, you shouldn’t post lengthy excerpts from a novel or in-depth book reviews. Instead, consider using a platform such as Goodreads for text-heavy book reviews. 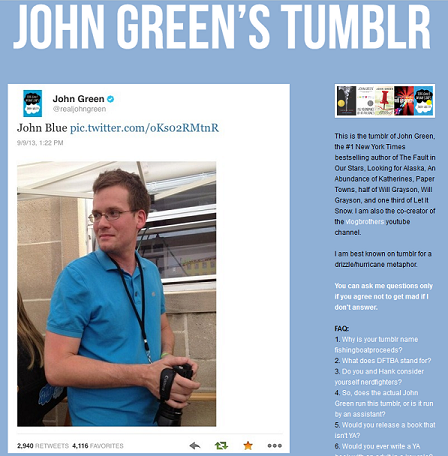 Tumblr For Writers: Give It A Whirl! Creating and maintaining a Tumblr account requires time and effort—but if you’re looking for a vibrant, up-and-coming marketing and promotion tool, Tumblr can be a great resource. By liking other posts, following Tumblr accounts, reblogging posts you enjoy, and posting original content regularly, you can gain a steady following of fellow writers, readers, and fans. So embrace the visual side of your creativity, and take Tumblr for a spin! QUESTION: Do you connect with other writers on Tumblr? Do you find it enjoyable and/or helpful? ← What Does Your Favorite Font Say About You? I have a novel script for publication can I send it to you for publication, please? We are an author web design service, not a publishing company. If you would like help submitting your manuscript to literary agents for representation, please contact our parent company, Writer’s Relief, at info@wrelief.com. It seems great for all the writer .i also like to do it for get atention for my poems. should i send my poems which allredy published in poems.com or i have to send new one? If you’re wanting to submit your poems to literary journals to be considered for publication, they shouldn’t appear anywhere online. Most editors will consider that to be previously published, and they won’t accept them. However, if you don’t have plans to submit your work anywhere, then you could post your poems on Tumblr to increase exposure. 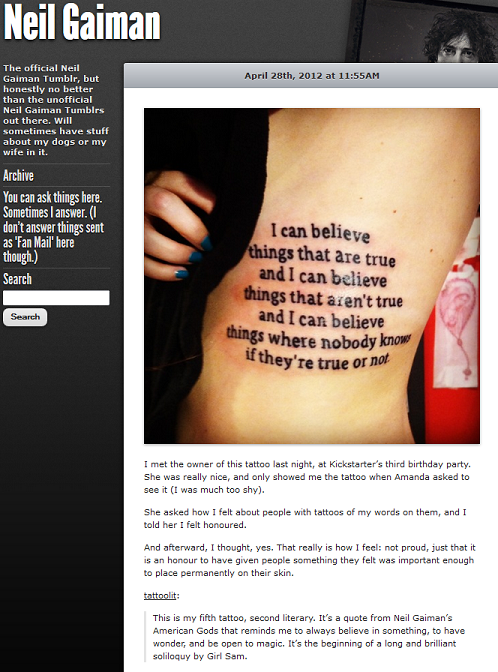 There are blogs that are quite successful on Tumblr while posting long pieces of text. Those kinds of blogs in the writing community tend to be advice blogs who also link out to a lot of other articles online. There are also a lot of blogs that have built up a large following while still having most of their blog content consisting of reblogs. Posting original content in the tags can help with exposure, but it’s not wholly necessary to gain a lot of followers. There isn’t much of a model for success when it comes to tumblr in my opinion, because there’s a large variety of approaches with users who both have and have not been successful. Tumblr follower communities also can take a long time to build, especially if your writing blog is a sideblog so you can’t really take advantage of mutual followback situations as easily as you can with your main blog.